The Federal Reserve has two opposite and opposing responsibilities; it is tasked with keeping unemployment at low levels and keeping inflation at low levels. Low inflation tends to increase unemployment and low unemployment tends to increase inflation. Historically, the Federal Reserve has tended to favor low inflation over favoring low unemployment. This is because the propertied class in the US, the 1%, favors low inflation to protect their assets. If the 99% suffer from unemployment, that is too bad, but not important to them. When the talking heads and pundits on the tube discuss the fiscal cliff, please remember who benefits from deficit reduction, the 1%. The Federal Reserve is tasked with responsibility for all Americans, but it tends to favor the interests of the 1% who make policy in Washington and on Wall Street. 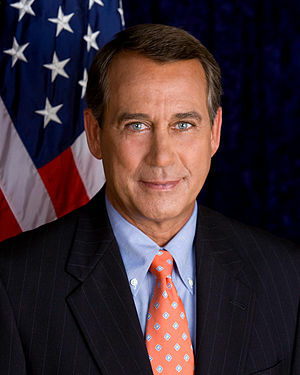 John Boehner said that the 2012 session of Congress would be devoted to jobs, jobs, jobs. Most people assumed that he was referring to jobs for the jobless. Actually he was referring to keeping his job and those of GOP members of Congress. One year ago this month, President Obama submitted a bill to create 1,000,000 new jobs and it would have been fully funded. Congress, under Boehner’s leadership, refused to enact it into law. If they had, the unemployment rate would now be below 8.0% and the GOP and Mitt Romney would have lost a talking pont against President Obama. 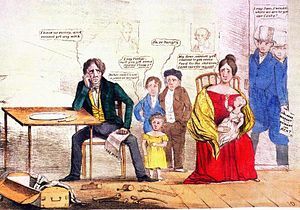 One million or more Americans and their dependents continue to suffer the effects of unemployment so that a few Republicans can keep their jobs and fat perks. It is time for a change. If you don’t work, you can’t vote. That’s a position I just saw voiced on a right-wing blog. The writer maintained that it is a conflict of interest to allow recipients of government checks to vote. If you start with the jobless who may receive unemployment checks and/or welfare checks, then where do you stop? Obviously from the gist of her comments, she was talking about those who do not pay Federal income taxes. However, you could easily include Wall Street banks too big to fail and you could include several large corporations that have paid no income taxes in recent years. And then there are the agricultural firms that receive government money for price supports of their produce. If we eliminated the vote for anyone receiving government money, then only a few billionaires and their lackeys could vote. In that case, why not just eliminate elections? They are just a waste of time and money now anyway. Yesterday Barack said that the private sector of the economy is doing well; he meant in comparison to the public sector, and now the GOP is running with that snippet of tape. The total economy is suffering because the GOP want to defeat Barack in November. The private sector is adding jobs while the public sector continues to shed jobs yielding a combined unemployment rate of 8.2%. If the GOP in Congress would allow the Federal government to aid the states during this recession, then the states would not be laying off so many public sector employees. Most of those layoffs are occurring in red states, states that became red or redder due to the TEA Party influence in the 2010 election. If the employees being laid off were private sector employees, you can bet the GOP would be more amenable to providing assistance. If all the teachers, firemen and police officers were employed by private employers, rather than government, you could be sure of two things. If they were employed, they would be earning less and if their employers needed government assistance, they would get it.